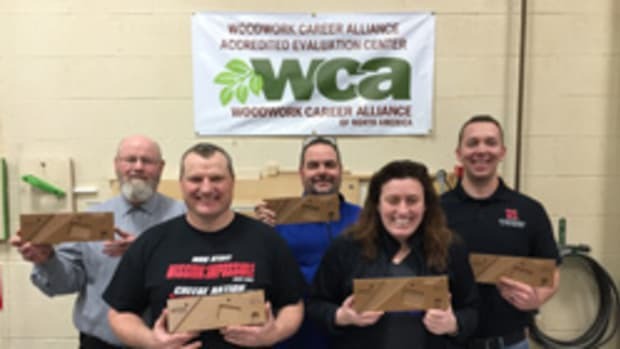 The Woodwork Career Alliance of North America issued its first Diamond credential to Patrick Molzahn, woodworking instructor at Madison College in Madison, Wis., at IWF 2018. Molzahn, a founding member of the WCA’s Board of Directors, said in a statement that the experience of achieving the Diamond credential fulfilled a long-term goal. “I use the WCA credentialing system to evaluate and reward my students,” Molzahn said. “I have long felt the need to test the efficacy of our credentialing system by experiencing it from the candidate’s perspective. The Woodwork Career Alliance of North America is organizing several Accredited Skill Evaluator training events over the next few months, including sessions at this summer’s AWFS Fair in Las Vegas. 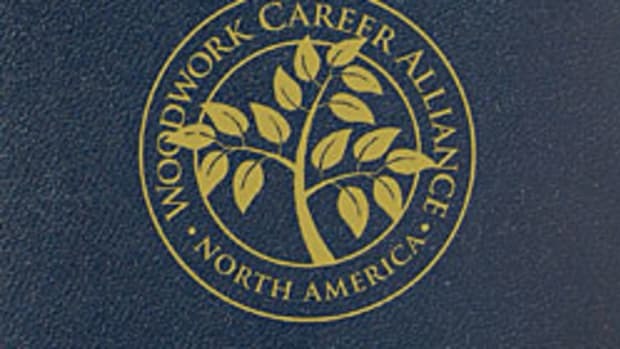 The Woodwork Career Alliance of North America recently released the Winter edition of Pathways, a quarterly newsletter devoted to highlighting woodworking education and workforce development activities. Wisconsin has overtaken California for the largest number of Accredited Skill Evaluators in the country following the recently completed training of 12 educators at Madison College.